The Jefferson is a boutique collection of 46 apartments across eight levels. It is a stunning representation of contemporary design, offering 1, 2 & 3 bedroom apartments with spacious living areas extending out to expansive balconies and featuring beautiful views over the ocean and out to the hinterland. Apartments at The Jefferson will be spacious and are designed for living, with seamless connection between indoor and outdoor living spaces. 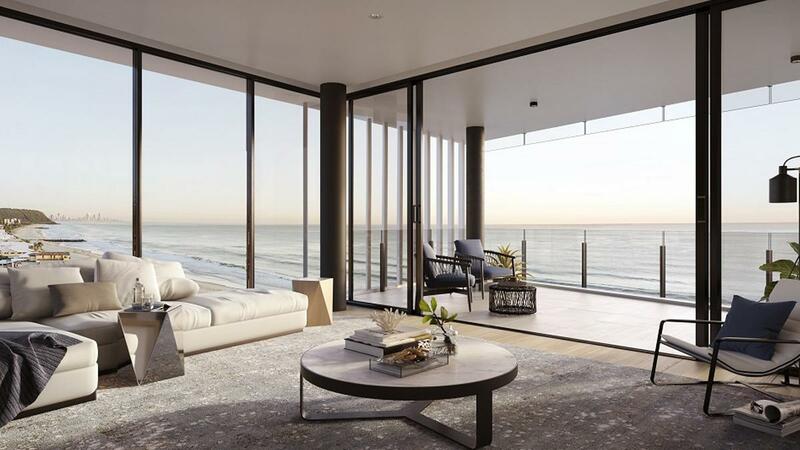 Most apartments above level three will enjoy spectacular ocean views, and the building will have a private resident’s lounge and small plunge pool. There will be two levels of basement car parking and storage areas will also be available. Developed by the Lacey Group, who are focussed on delivering innovative projects in strategic growth and lifestyle precincts, The Jefferson’s unique Southern Gold Coast location provides a beachside position coupled with an urban lifestyle, at a time when Palm Beach is poised to become the city’s most in-demand suburb.